First up, a lovely starting point to talk about mums, Mother's day and the special things that mum does with you. Find some cute animal pictures to colour in for Mother’s Day as a follow up activity to this super cute book. This one as HEAPS of good activity ideas. Go play in the garden or build a sand castle. A reminder to little ones of how special mummies are. (I got this one for Mother's Day last year). I absolutely adore the "Ollie" books, and this one is no except. We read it all the time! It's lovely and simple for youngsters and the illustrations are whimsical. Help your child to draw a 'day in the life' picture of all the things they do with their mum. Make butterflies, play hide and seek and enjoy milkshake just like Ollie and his mum do! This one has a lovely message and is perfect bed time story. It teaches children that Mummy’s kisses give you the confidence to go and try new things, make a friend, be brave. My favourite out of this selection by a fantastic author. It's a great book about diversity and how all mums are different. A really good one to discuss opposites and rhyming concepts. 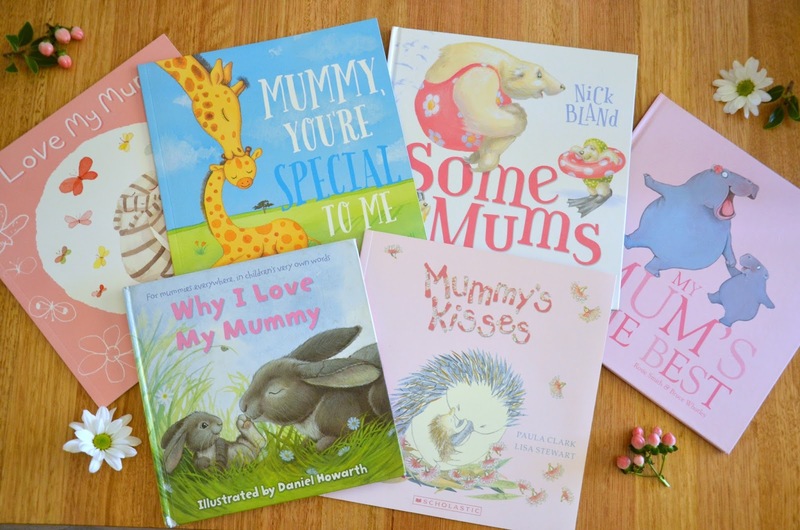 Mums, if you're wanting to give a gift to your child's Nanna or Grandma, keep a look out for some similar books about them for your child to give. And let Dad know that books about Mums are on your wish list this Mother's Day! Compared to other types of hair extensions uk are ideal for achieving that natural look. The reason for this is that this type of wig is manufactured using lace wigs uk which makes it authentic. Women love their hair and will do anything possible to ensure that it is in perfect condition. At times, they are forced to spend huge sums of money on treating human hair wigs uk only to be frustrated by the effects that chemicals have on the hair. These types of lace wigs uk are different as they very affordable, thus women do not need to spend large sums of money taking care of them. In fact, the only care needed is frequent brushing and once in a while treating it with a hot dryer. With human hair wigs uk women should not have any reason to complain of a bad hair day. Women wear full lace human wigs for different reasons.